Happy Friday Stampers! Hope your week is going well. The days are flying by so quickly, good thing we're having fun. Luckily, there are still some day left before February 14 to make more handmade projects. 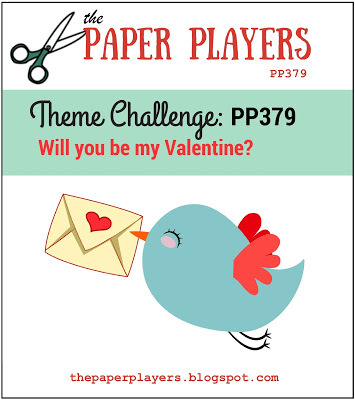 The fun blog challenges over at The Paper Players and at Sunday Stamps inspired me to create two bilingual cards with a Valentines theme. Haven't played with either blog challenge that much so it was fun to participate with them. Lots of inspiration with both blogs, make sure to check them out. I used the Painted with Love Specialty DSP and the Large Letters Framelits. This was a simple card to create, mostly cardstock layers. This DSP is really pretty and the colors are nice. The base of my card is Melon Mambo cardstock, layered with Blushing Bride cardstock and the DSP is layered under Rich Razzleberry. The Gold Foil Sheets add a nice elegant touch. Amor is Love in Spanish. Thanks for stopping by today, hope you have a great weekend. Fun cards! I love the background paper and the CAS words to fill the space. Thank you for joining Sunday Stamps this week. Kathya, these are GORGEOUS! You have shown off this paper perfectly, and said just what needs to be said, lol. Thanks so much for sharing at Sunday Stamps! Aren't those big letters stunning. And all you need is them and some pretty paper! I like the bilingual approach to Valentine's too. Thanks for sharing with us at The Paper Players this week. Thank you so much for your comment and for reading my blog. 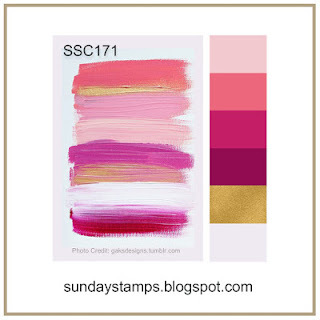 Kathya Hidalgo, Independent Stampin' Up! Demonstrator, I am responsible for its content. Stampin' Up! does not endorse the use of or contents of the classes, services, or non-Stampin' Up! products I may offer here.